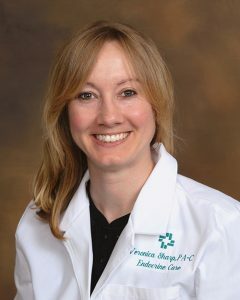 Veronica D. Sharp, PA-C, is a physician assistant at Hattiesburg Clinic Endocrine Care. She received her Master of Health Science in Physician Assistant Studies from the University of South Alabama in Mobile, Ala.
Ms. Sharp is board certified by the National Commission on Certification of Physician Assistants. She is a member of the American Academy of Physician Assistants and the American Society of Endocrine Physician Assistants. A veteran of the United States Air Force, Sharp’s focus is to build her skills as a provider in an effort to deliver personalized care to her patients. At Endocrine Care, she enjoys providing patients with easy-to-follow instruction and education about their health.